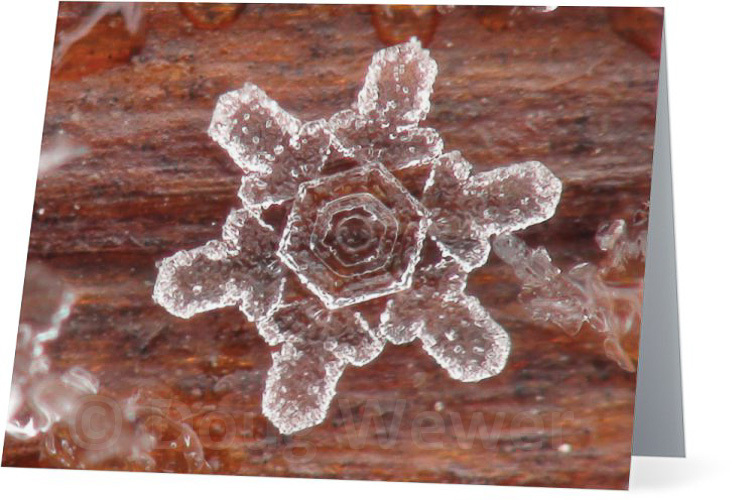 Metal is an excellent medium for portraying the fine details of these incredibly complex snowflakes. 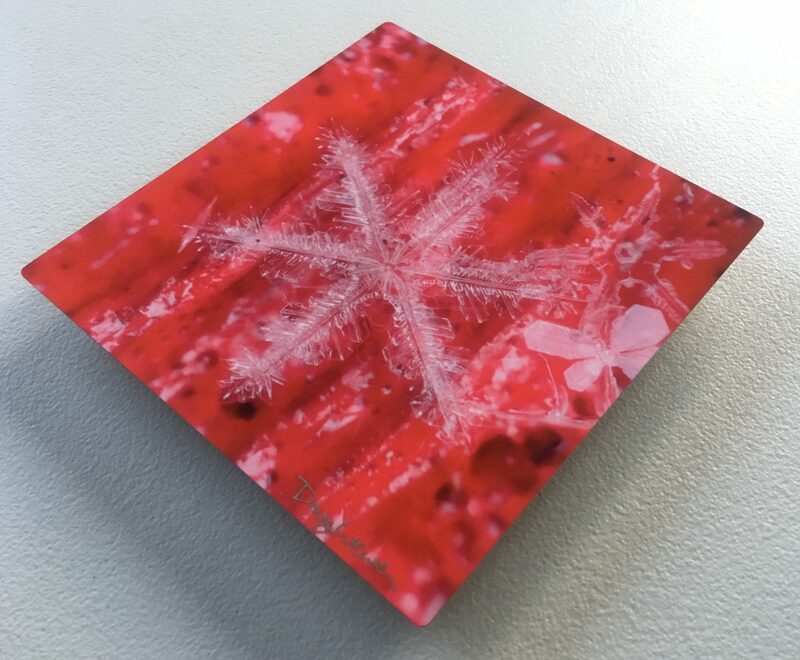 A process called dye sublimation is used to infuse the image directly onto a specially coated aluminum sheet. Metal prints are known for their exceptional detail, vibrant colors and often magical luminescence. These archival-quality prints are scratch resistant and waterproof. They can be hung outside if properly secured and kept out of direct sunlight. All metal prints come ready-to-hang. 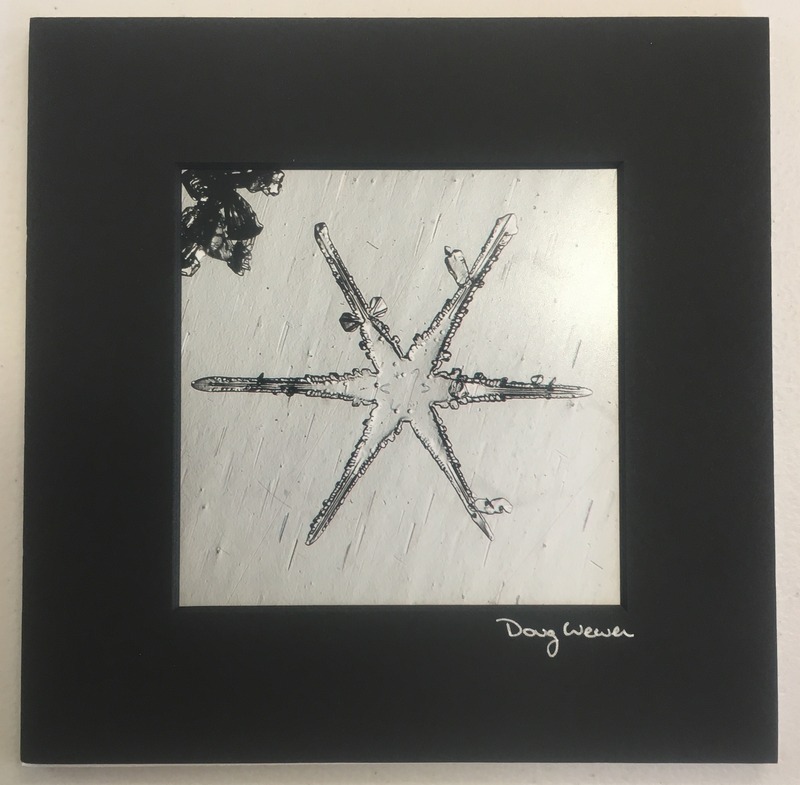 16" x 16" and smaller sizes have a metal hanger that floats the image 1/2" from the wall. 20" x 20" and larger sizes comes with a 3/4" inset frame and wire hanger. Care: Avoid hanging in direct sunlight. To clean surface, wipe with any cloth suitable for eye glasses or camera lenses. 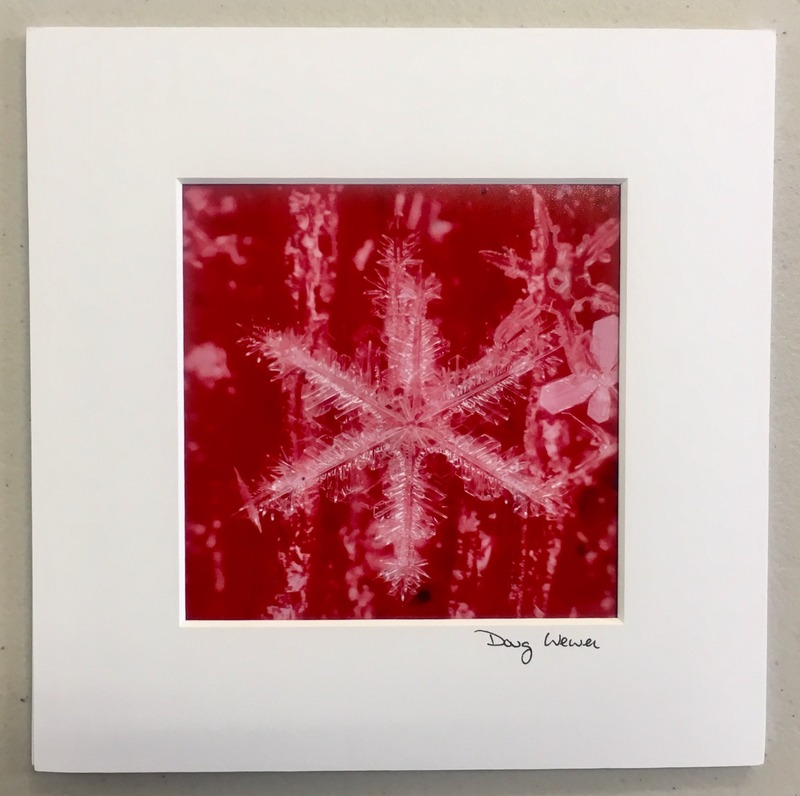 Each print comes with a card that describes the date the snowflake fell, location it was photographed, and (if applicable) the story about the snowflake or background. Regular prints are printed on archival-quality paper with a lustre finish. 5" x 5" prints come with an 8" x 8" matte. 8" x 8" prints come with a 12" x 12" matte. 12" x 12" prints are supported by a foam board for shipping, and do not come with a matte. 16" x 16" and larger prints are rolled and shipped in a tube. 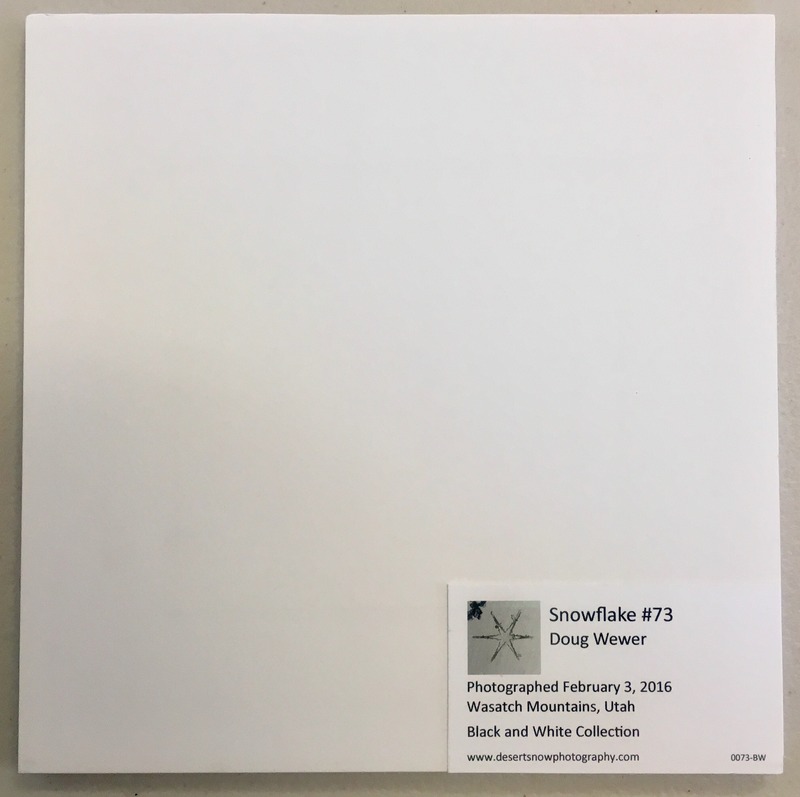 Mattes are white, unless noted in the product description. Snowflakes that are backlit (snowflake looks black) come with a black matte. All prints are signed on the back. 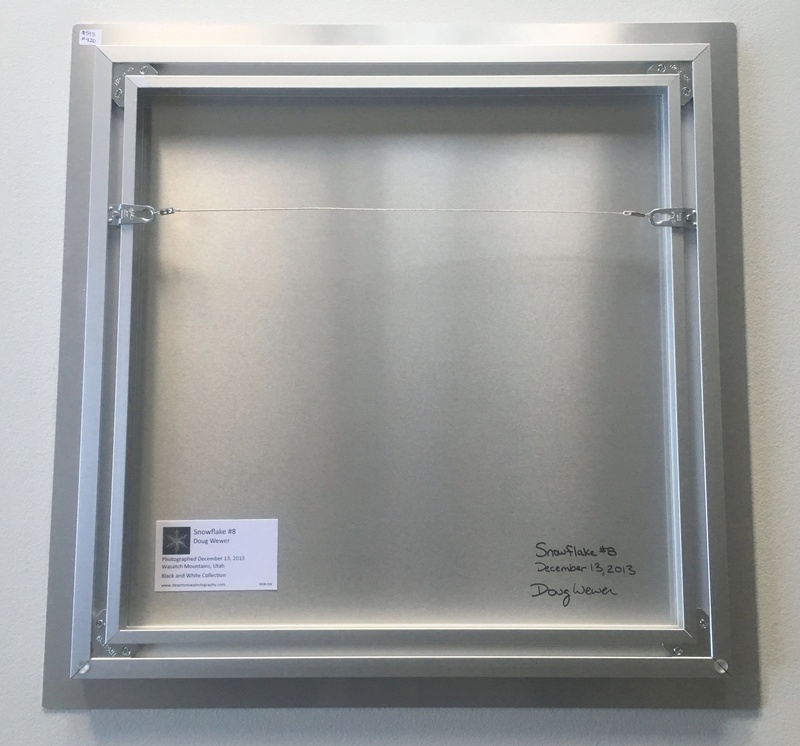 Matted prints are signed just below the image. 12" x 12" and larger prints are signed on the front of the image. 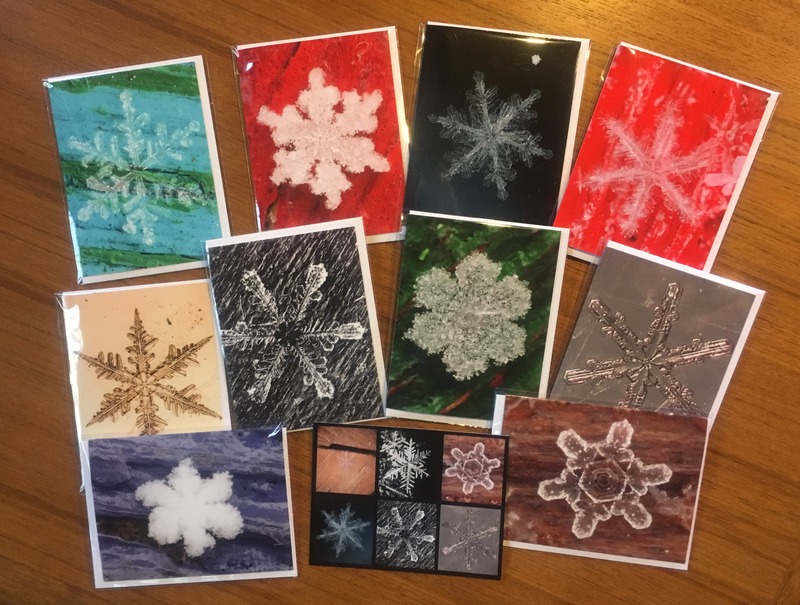 Selected snowflakes are available in greeting cards. 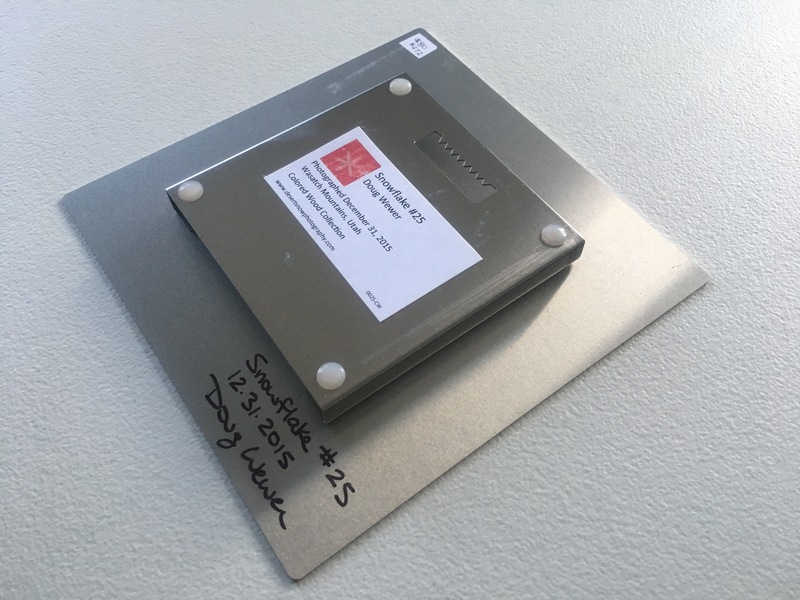 Cards are 4" x 5-1/2" and blank on the inside. Each card comes with an envelope. 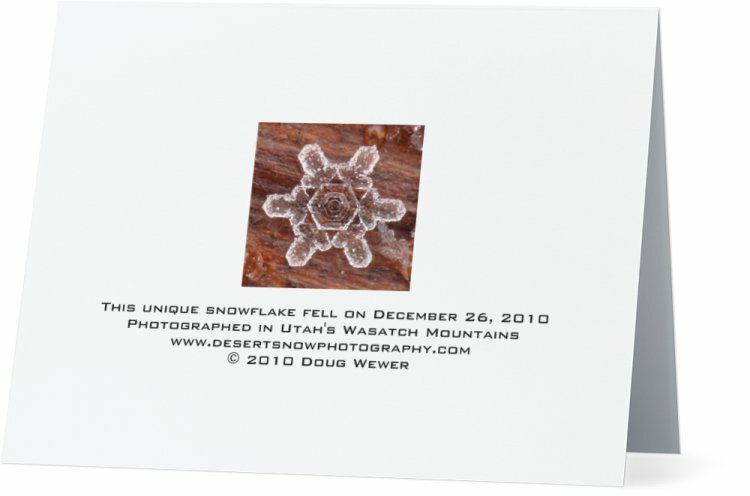 The back of the card describes the date the snowflake fell and the location it was photographed. Greeting cards and postcards are available individually, or in packs of 5 or 25.